Welcome to the Home Page of Safety-Critical.org! 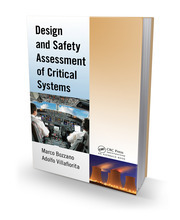 and contains, more in general, information about design and development of safety critical systems. The book is available for sale from the CRC Press Website, Amazon.com, Amazon.co.uk. Generated with Jekyll, a static website generator - Layout based on Twitter Bootstrap.